The ultimate aim of any initiative is to boost customer-centricity. Innovation and transformation don’t occur simply because an organization adopts new or cool technology. Any new technology must factor in behavior change to reap its value. Digital transformation is the goal of every organization. Doing so can unleash new features or entirely new products and services. It can drive efficiency gains and cost savings that would have been unimaginable in the past. Yet putting a strategy into motion and building a framework that supports innovation and disruption is no simple task. Too often, strategies go south, technology fails to deliver, and business processes go astray. CMO.com spoke to four successful chief technology officers from different industries about what’s required for digital transformation. They shared five key points that all business leaders should keep in mind. An organization achieves superior results, he added, by developing an “organizational capability to respond to changing dynamics.” This requires an IT framework that supports digital, including clouds and mobility. Emerging technologies, such as 3D printing, robotics, artificial intelligence, and augmented/virtual reality, are simply mechanisms that drive transformation; they don’t represent transformation in themselves. Perspective matters. Views of and expectations about digital transformation will vary from one area of a business to another. But in the end, it all boils down to business results. Tamara Lohan, CTO for Mr. and Mrs. Smith, a travel club and web search tool for luxury and boutique hotels, relies on scorecards and metrics to understand--and share--results more fully. This helps the organization create common goals, benchmarks, and expectations. Lohan posts usability studies and other information on the company’s internal website, and she includes junior developers on key phone calls with customers. She also addresses concerns from executives who might wonder why the firm is engaged in one project or another when three or four other projects could be tackled with the same budget or within the same time frame. Finally, she knows the kill criteria for any project up-front. This helps take emotion, subjectivity, and politics out of the process. What’s more, “If projects are failing often, it’s necessary to know where the problem lies,” she said. Digital technologies, when combined effectively, can create a 1+1=3 equation, sometimes even a 1+1=10 equation. However, innovation and transformation don’t occur simply because an organization adopts new or cool technology. “You have to understand what represents a transformational experience and what’s required to create one,” Adobe’s Parasnis said. Sebastian Huet, CTO at French alcoholic beverage firm Rémy Cointreau, said he works with other leaders to coordinate a variety of efforts. The firm has an innovation lab, it taps multidisciplinary teams to explore ideas, it conducts A/B testing, and it sometimes uses open innovation frameworks. “We are a small company in a big market. We must be able to react and adapt quickly,” he said. For example, one recent initiative combined the artisanal qualities of producing fine cognac with virtual reality. A Microsoft HoloLens VR headset helps educate drinkers about how cognac is produced. The experience, created in conjunction with an outside development studio, shows how the grapes are grown and how the beverage is produced--using floating and moving images. The “Rooted in Exception” experience has appeared at various locations, including airports, across the U.S.
“Technology is only a tool for unlocking value,” Huet said. At Mr. and Mrs. Smith, Lohan has established a fund “to play around with things and explore innovation.” She tries to create few roadblocks and boundaries. “It could be a crazy idea with no clear ROI,” she said. In addition, Lohan gives developers free reign to try new things and explore emerging technologies. 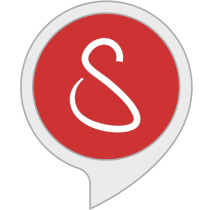 One recent project focused on developing an agent that lets users find luxury and boutique hotels through Amazon’s Alexa speech-recognition technology. “There are so many things an organization can focus on. You have to remember that digital transformation is the primary goal,” she said. Virtually every discussion about innovation and digital transformation centers on a basic concept: agility. Although the need for speed is indisputable--and many organizations continue to get bogged down in traditional planning and development methods rather than agile and DevOps methodologies--it’s also possible to move too fast and too recklessly. Lohan said she believes that project management is the critical factor and must be tightly integrated across the organization. It’s also critical to keep the entire C-suite informed so that expectations and reality are in sync. Ultimately, digital transformation is a journey--and it never ends. It’s critical to deal with the inevitable disappointments and failures and to avoid putting too much stock in individual success stories or celebrating each win too much. No digital transformation succeeds simply because an organization has world-class technology in place, Parasnis said. “You have to think more holistically about people and processes,” he added. But that’s often easier said than done. “Over the short term, people usually overestimate the power of a particular technology. Over the long run, they underestimate how profound the change will be,” he said. What’s more, it’s important for employees to understand the reason for change. It might also be necessary to realign work teams and other groups. “The biggest stumbling blocks are not around technology innovation or delivery but around the inevitable organizational changes that need to be made to respond comprehensively to digital transformation,” Wunderman’s Pretorius explained. He pointed out, for example, that CMOs will agree that a consistent and relevant customer experience across touch points is one of the key objectives of digital transformation. “However, when it comes to structuring their marketing organizations accordingly--with a single product owner for customer experience across all marketing functions--they lose the courage of their conviction and revert to product-based or function-based team structures,” he said. In the end, any new technology must factor in behavior change to reap its value. This could require an introduction to new frameworks for thinking and planning, new types of teams, establishing task force groups and think tanks, and using other tools. It might also involve training and new technology tools that foster real-time communication and collaboration.